Hi Leah! 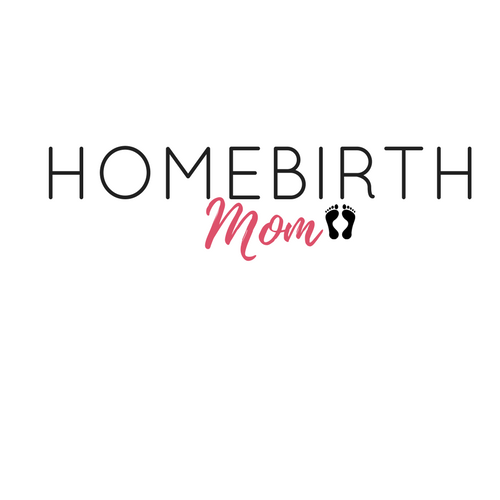 Thank you for sharing your perspective as a Homebirth Midwife and a Homebirth Mom. My first baby and last baby were born in a birthing center and the middle four were born at home. What made you want to have your baby in a birthing center versus a hospital? I always knew I wanted to have my babies out of the hospital and part of it was due to my mother’s influence. My mother gave birth to her first baby in England with midwives and had a natural birth, so that was her first experience with birth and that was normal to her. So when she was having me in the United States she wanted the same type of experience, but here she couldn’t find anybody who would even allow her to have a natural birth. 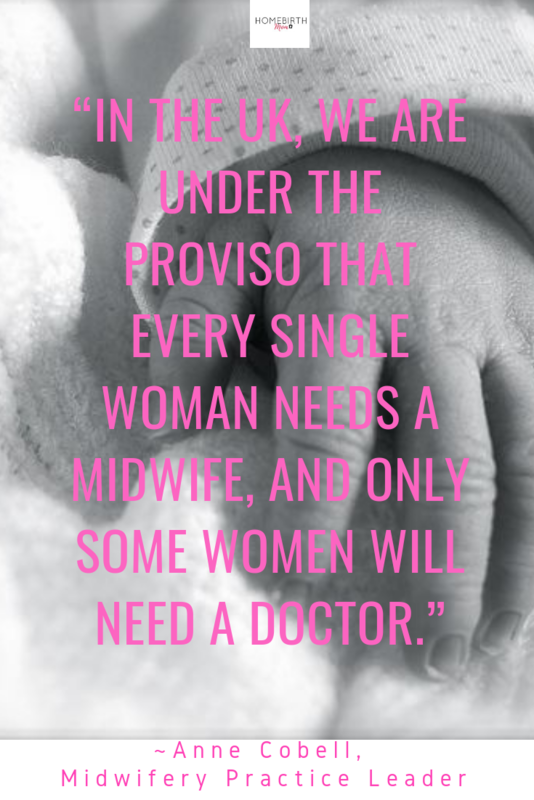 She couldn’t find a midwife and she had to go from Obstetrician to Obstetrician looking for someone who would allow her to have a natural birth. That influenced me to seek out and have a natural birth as well. How come you decided to have a homebirth with your second baby? The only thing I didn’t like about the birthing center was that they had a lot of different midwives on call, and I wanted to have a personal relationship with my midwife and know she would be the one to deliver my baby. I did actually look into having a homebirth with my first baby but our health insurance didn’t cover it. With my second baby my insurance still didn’t cover a homebirth, but at that point I decided to find a midwife and I paid for it. I decided to become a midwife after I had my second child, after my first homebirth. 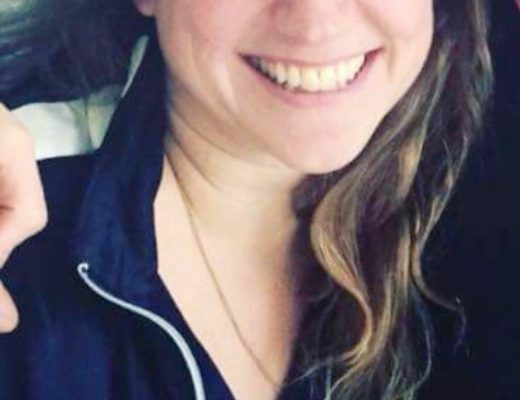 I felt very connected to birth after I had my baby. 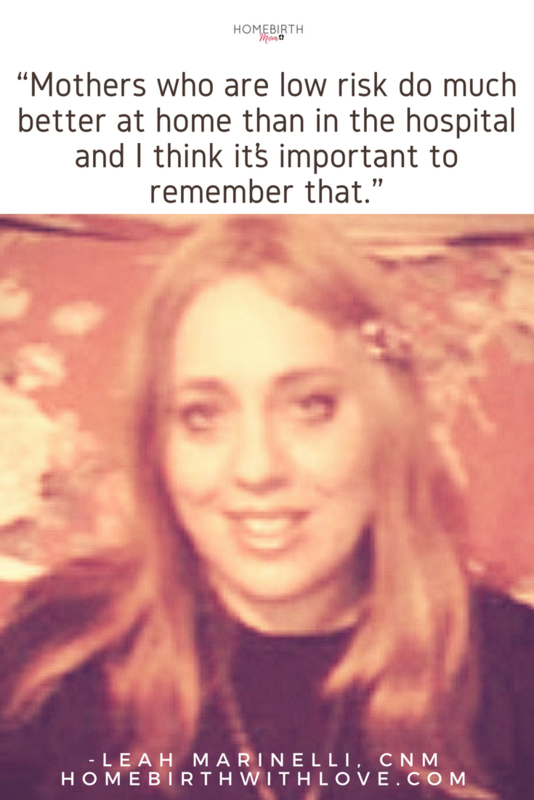 It was a very profound experience for me. I wanted to do this for other women and provide them with the same connection. It took a little while for me to get there. I first became a doula, and then a childbirth educator. After I had six kids I decided to go to nursing school as the first step to becoming a CNM. A Certified Nurse Midwife is really the best background for a midwife to practice safely and holistically with a professional medical background. What was most comforting to you when you had a homebirth? Having your own bathroom and your own bed; Mostly material comforts. In the hospital, labor and delivery is led by the doctors and nurses. At a birthing center the birth is midwife led. At a home it is woman led. 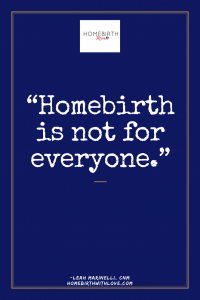 What surprised you most about having a homebirth? It was mostly what I expected as it was my second birth and I had already gone through having a baby, so it was just very comfortable. There are mothers who will have a homebirth with their first baby but I think it’s important to counsel women who are pregnant with their first. You don’t know how it’s going to go and they themselves don’t know what to expect during the birth process. I was able to make it through those difficult contractions once I thought back on the things I had learned in childbirth education. 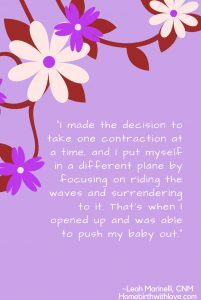 I made the decision to take one contraction at a time, and I put myself in a different plane by focusing on riding the waves and surrendering to it. That’s when I opened up and was able to push my baby out. With my second baby there were really no surprises. Was there anything challenging you found about having a homebirth? Not at the birth itself. Postpartum it’s very important to have a support system. When I had my second baby I was 22 years old and I was young and strong. It was ok although recovering was hard. With my third baby the recovery was very hard. My husband had to go back to work right away and I had no help. I was out shopping 2 days after the birth with my baby in a backpack and 2 kids in the stroller. This is a part that has to be addressed and I address it with my patients. They have to get two weeks of help after the baby is born and they must rest. If a woman doesn’t get a chance to recover after childbirth she is at risk for getting run down, breast infections and may suffer from postpartum depression. By my fourth, fifth, and sixth births I made sure that my husband stayed home and I asked people for help after the birth. That way I had excellent post partum recoveries. I want them to know that a homebirth is not for everyone. You have to know yourself. You have to know what criticism you might have to face if things don’t go exactly perfectly. 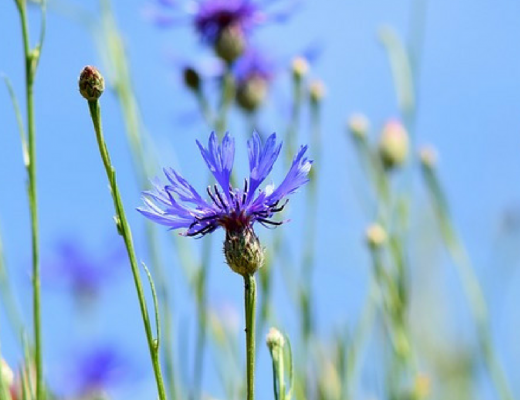 It’s accepting responsibility in a culture that is not homebirth oriented. If something goes wrong you’ll have to be able to live with your decision. That’s why it’s not for everyone. 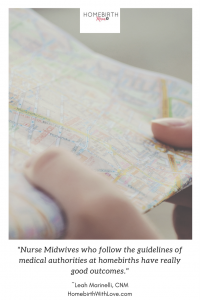 When someone is looking for a midwife to deliver at home they have to have an understanding of the different types of midwives and make sure the protocols and safety guidelines will be followed. They have to know what to do in an emergency. Are you a nurse midwife? Do you know how to put in an IV in an emergency? What emergency equipment do you bring to the birth? We have one set for Nurse Midwives who are following protocol and those have good outcomes. We have another set for non-nurse midwives who may not even be practicing legally and definitely don’t follow proper protocols. It is really unfortunate because studies show Nurse Midwives who follow the guidelines of medical authorities at homebirths have really good outcomes. When someone comes to interview me for a homebirth I give them a consent form and we go through all the pros and cons. I explain the different emergencies that can happen which, although rare, may end up with more poor outcomes if they happen at home rather than in a hospital. There are cases where a NICU or surgery are needed right away, and while they are rare, when they happen they need to be dealt with as quickly as possible. On the other hand, homebirths have much lower infection rates. We rarely have infections at home. Mothers and especially babies have higher rates of infection when birthed in a hospital. A low risk woman should understand there are different risks her and her baby are facing when giving birth in a hospital. Can you describe the risks of going into the hospital in more detail? Besides the risk of infection which is much greater in the hospital, hospital births have a higher c-section rate which brings along with it a higher maternal mortality rate. People don’t realize the risks to a woman having a c-section. Sometimes a c-section is necessary and thank God we are able to do c-sections, and have epidurals and NICUs, because some people really do benefit from them. But at the same time when you are doing them on mothers unnecessarily, there’s risks to that too. Mothers no question do better at home but on the other hand women should understand that there are risks to whatever decision they make. There are risks to hospital births and there are risks to home births, and the only women who belong at a home birth are low risk women. It is illegal in the State of NJ to deliver a breech baby at home, to deliver twins at home (which has a high death rate). You are not allowed to do VBACs at home. It is not allowed to be delivered at home before 37 weeks or after 42 weeks. Only CPMs will go outside the law and do it illegally. Mothers who are low risk do much better at home than in the hospital and I think it’s important to remember that. 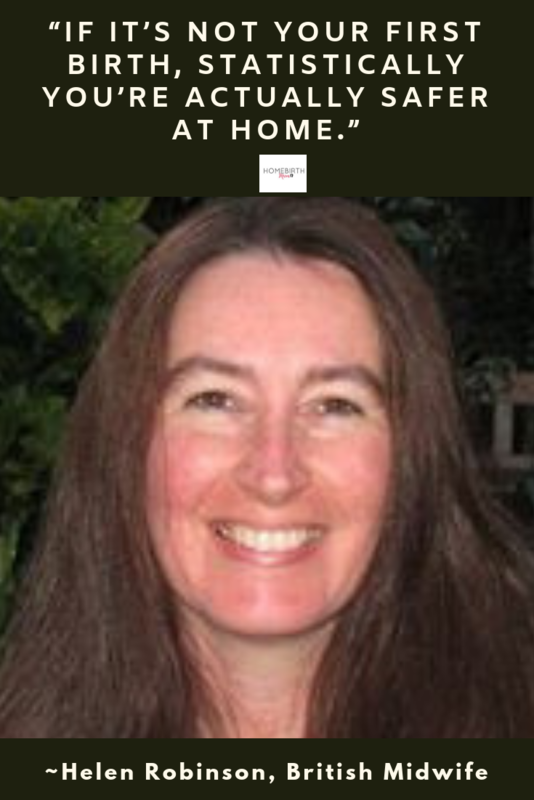 You can reach Leah Marinelli, CNM, Homebirth Midwife, at Home Birth With Love.